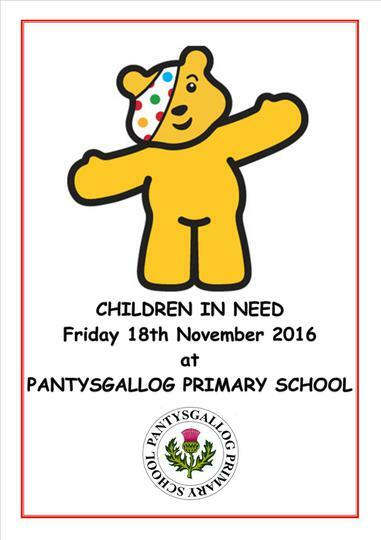 On Friday 18th November 2016 pupils in both Key Stage 2 and Foundation Phase took part in a sponsored event for Children In Need. 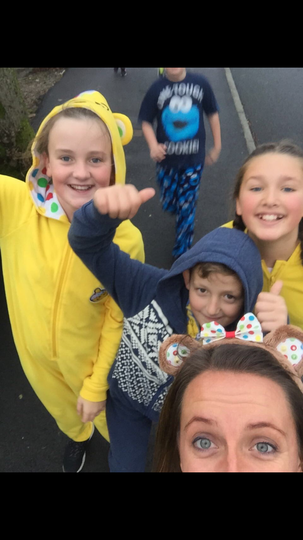 Key Stage 2 pupils completed a 1 mile walk/run around the village. 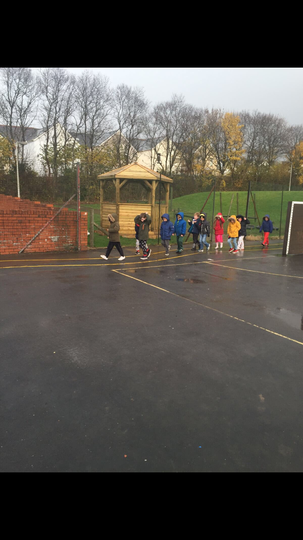 This was the final mile of an accumulated 13 miles that each pupils had covered over the previous two week period. The distance covered was equivalent to a half marathon. 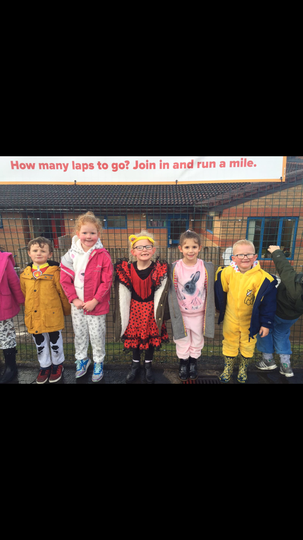 At the same time Foundation Phase pupils braved the elements and used the Morning mile track on the Key Stage 2 yard to complete their event. At the close of the day on Friday the school had collected a grand total of £866, with more donations expected. 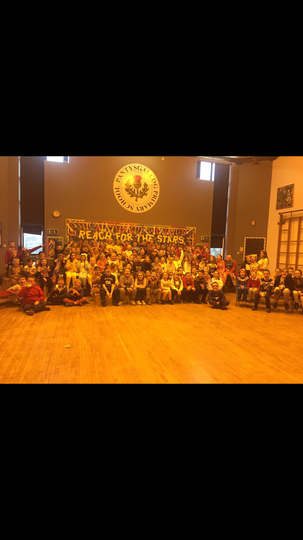 Everyone was really excited to see the school name and details of the event scroll across the screen as part of the BBC's celebrations during the live evening show which was broadcast across the United Kingdom.